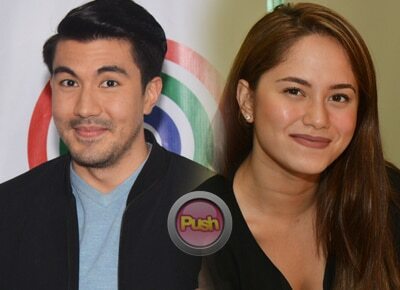 Luis Manzano appreciates Jessy Mendiola more after the major online backlash she recently went through. Three weeks ago, Jessy made headlines for her “arrogant” comment about being the country’s sexiest woman and for comparing her latest achievement to that of Miss Universe Pia Wurtzbach’s win. “Ang taong naghahanap ng mali makakahanap ng mali,” he began in an interview during his contract renewal with the Kapamilya network where he signed a three-year exclusive deal. Luis pointed out that these bashers “never liked” Jessy. “So they wouldn’t make an effort into understanding her. So wala eh, ganon talaga,” he said. According to Luis, he won’t go out of his way just to reach out to these people. “She’s fine. She’s happy. She’s content. I think with everything that’s going on there’s nothing else but to feel happy,” he said. Prior to that interview, Jessy had been suffering major online backlash on a regular basis, most recently because of being romantically linked to Luis. In fact, Luis even took over her account, which Jessy confirmed, to erase all the basher’s comments. For Luis, that incident has made both himself and Jessy stronger. “Oh definitely. To go through that. I appreciated her more, her strength… Mas malaki lang akong tao but she’s way stronger than I am,” he said. Despite his comments, Luis maintains that he and Jessy are not yet a couple. "Journey (pa lang), wala pang formality, wala pa. We are just enjoying what we are doing," he maintained.